Are you too short on time and money for a visit to the spa? A day at the spa is a luxury most of us cannot afford, but that doesn’t mean you have to miss out! Use this list to help create the perfect at home spa toolkit so you can take care of yourself without breaking the bank! Perhaps you are putting together a spa themed gift basket and need inexpensive ideas. 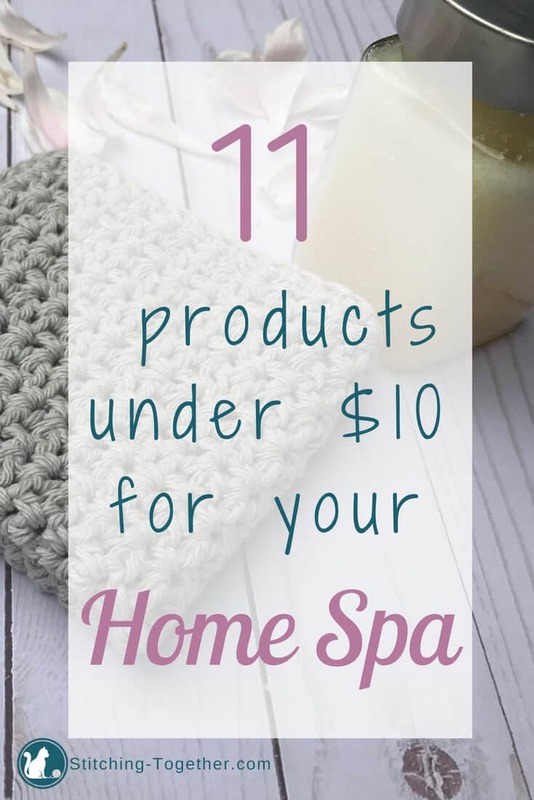 Each one of these relaxing bath items cost less than $10 at the time of compiling this list! Claimed to reduce wrinkles, minimize pores, and remove blackheads! Sounds like a win in a jar, but you’ll be happy with smoother skin! Plus, can you really have a spa without some sort of facial mask? It seems like a necessity. If you don’t get anything else, at least purchase Dr. Teal’s Epsom Salt Soaking Solution. Epsom salts are amazing for relaxing the body, soothing aches and pains, and helping you sleep better. If you are giving this as a gift, repackaging it in a mason jar covered with the mason jar cozy would be a great way to present it. You may not think of the Honest Company when you think of spa necessities, but this gentle body wash isn’t just great for babies. With limited ingredients and mild yet lovely scents, this body wash is perfect to lather up on your spa night while still being safe enough to use on the whole family. The Honest Company face and body lotion really falls somewhere between and lotion and a cream. It is thick and rich without being heavy or greasy. Just like the body wash, the scents offered are mild and lovely. Lavender is great to help you relax and calm. When you don’t have time for a full at home spa treatment, put your feet in a tub and drop in one of these pedicure bath bombs. A quick foot soak will help soften your skin and relax your muscles. This bath bomb set would also make a great gift on its own! 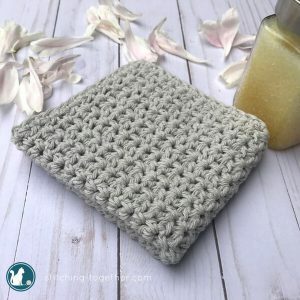 This spa washcloth is perfect for your at home spa kit. It is easy to make and beautiful. Crochet washcloths can last a long time when well taken care of and they soften with use. If you don’t crochet, look for natural, all cotton washcloths to add to your spa essentials. You’ll want these when applying your facial mask to keep your hair and mask where they are supposed to be. They are also helpful when applying makeup! This cooling eye mask can be frozen or heated to suit just what you need! It can also be used outside of spa time to help relieve headaches. Dry brushing is said to improve circulation and remove toxins. I love it for the exfoliation benefits! There are many different dry brush varieties including ones with long handles enabling you to reach your back. The soft smell and beautiful flicker from Mrs. Meyers Soy Candles is just what you need to round out your perfect spa time. The cleaner burning soy allows the fresh scents to gently fill your space while helping to relax and soothe you. Most of these products are available for free shipping with Amazon Prime. Not a prime member yet? Why not sign up for the free, 30-day trial? Do you have any favorite at home spa items I didn’t add? Let me know in the comments!